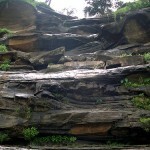 Chitrakoot or “the hill of many wonders” is an allowed centre of pilgrimage. It is believed to be the place where Lord Ram and Sita spent their 14 years of exile and where sage Atri & Sati Anusuya meditated, the holy town is set in sylvan surroundings on the bank of river Mandakini. 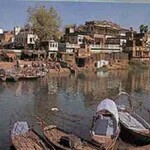 The riverside is lined with ghats and the town dotted with several temples. The most important place of worship at Chitrakoot is the sacred shrine of Kamatanathji at the foothills of Kamadgiri hills, Other revered shrines at Chitrakoot are the Anusuya – Arti Ashram, Sphatikshila, Janki Kund, Hanumandhara – approachable by a flight of 360 steps, Bharat Koop and Gupta Godavari, the mythical water spring coming out of natural cave. Chief places of interest in Chitrakoot include Marpha (4 km), Sitapur (8 km), Rajapur (42 km), Kalinjar (88km) and Allahabad (125 km). U.P. Tourism Tourist Bungalow and Yatri Niwas, provides good, clean and affordable accommodation. A number of tourist lodge are also available. Air: Nearest Airport is Allahabad, 128 km away from Chitrakoot. Rail: Nearest railway station is Karvi, 8 km away from Chitrakoot. Road: Chitrakoot is well connected with the main cities of U.P. and M.P. Hanuman Dhara: Located on a steep hillside, it is approachable by a flight of 260 steps. Here, the waters of a spring tumble over an image of the Lord Hanuman. Sphatik Shila: This unique and most picturesque spot is located on a huge rock. It is said to sit here and enjoy the scenic beauty of the place. Kamadgiri: 2 km away from Chitrakoot, lies Kamadgiri-a place of prime religious significance. A forested hill – it is skirted all along its base by a chain of temples and is revered even today as the holy embodiment of Ram. The Bharat Milap Temple is located here. Many worshippers even today perform the holy parikrama, the ritual circuit of the sacred hill, to ask for a boon or a blessing. Ram Ghat: 1 km from the city, the ghats that line the banks of the River Mandakini reveal ongoing religious activity, Here, amidst hymns and the sweet fragrance of incense, holy men in saffron robes sit in silent meditation or offer the solace of their wisdom to the countless pilgrims who converge here. With the very first rays of the sun that gleam upon the river, Ram Ghat stirs into life. Devotees of all ages take the ritual purifying dip in the waters and invoke the blessings of the gods. The activity builds up to a crescendo of colour and to spontaneous expressions of faith through the day. The evening “Arti” at Ram Ghat is a unique experience for the devotee as well as for the tourist. 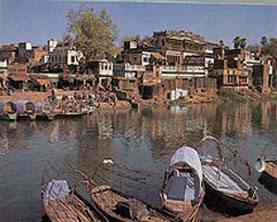 Sitapur: Located on the left bank of Paisuni, Sitapur is intimately connected with both Chitrakoot and the sacred hill of Kamtanath, which is just 2 km to the south west of the town. Pilgrims first bathe in the Paisuni River at Sitapur and then move on to do the Parikrama of Kamtanath. Janki Kund: 3 km from Chitrakoot, this cave over the Mandakini has always astounded visitors. 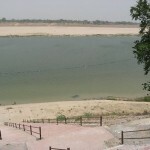 It is said that Sita took her bath at this spot during her stay at Chitrakoot. Rajapur: Just 38 km from Chitrakoot, is the village where Swami Tulsidas, the illustrious poet of Ram Charit Manas was born. Ganesh Bagh: Located 11 km from Chitrakoot, on the Karvi – Devangana road, near the Banki Siddhapur village, is Ganesh Bagh. Here an exquisitely carved Shiva temple stands in mute testimony to the splendid forms of art and architecture that once flourished in this area. Sati Anasuya: 13 km from Chitrakoot, the Sati Anasuya Ashram is located further upstream. A winding road through densely wooded hills leads to the spot. Bharat Koop: 18 km from Chitrakoot lies Bharat Koop believed to contain the holy waters of the scared rivers brought by the younger brother Bharat, to celebrate the Rajabhishek (coronation) ceremony of Lord Ram. 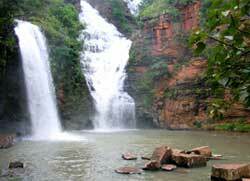 Gupta Godavari: Gupta Godavari is situated 19 km from Chitrakoot,. 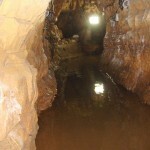 The Gupta-Godavari is a tiny rivulet flowing into the tanks at the end of an underground cave. It is believed that Lord Ram and his brother Lakshman held court in the cave, which has two natural throne-like rocks. This entry was posted in Chitrakoot, Uttar Pradesh and tagged Holy Place. Bookmark the permalink.